Are conflict of interest chances sullying the reputation of a prestigious cancer center? The famed Memorial Sloan Kettering Cancer Center apparently is in turmoil, at least as far as raising money is concerned. And possibly as far as its reputation is concerned. According to a recent story by Katie Thomas and Charles Ornstein in The New York Times, the facility — which the piece refers to as "one of the nation's most prestigious cancer centers" — "has abruptly changed the focus of an annual fund-raising campaign amid a widening crisis that has already led to the resignation of its chief medical officer and a sweeping re-examination of its policies." A brochure on the center's website indicated that the campaign, "initially titled 'Harnessing Big Data,' was to have focused on the cancer center's research into the use of artificial intelligence in cancer treatment." The shift in focus followed an earlier Times article, written in conjunction with ProPublica, a nonprofit journalism organization — just as the latest story was. That piece dealt with an exclusive deal the center made with an AI start-up "to use digital images of 25 million tissue slides analyzed over decades." But the company, Paige.AI, "was founded by three hospital insiders and also involved investors who were Memorial Sloan Kettering board members." According to the Times story by Thomas and Ornstein, pathologists at the hospital, whose main campus is in New York City, "complained that their work was being commercialized for private gain and that patients were not being informed that images of their tissue slides were being shared with an outside company." Although the hospital and its officials claimed they didn't do anything wrong, they did acknowledge "that they could have communicated better," the Times piece contended. 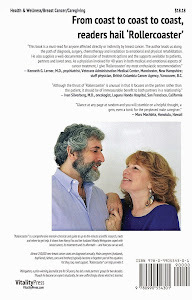 After the first article, Kenneth Manotti, the center's senior vice president and chief development officer, sent an email "to board members of the Society of MSK, the hospital's fund-raising effort, and an affiliated committee [that said the effort] would be postponed 'under the current circumstances, as we navigate through the issues at hand.'" The society normally raised between $800,000 and $1 million annually for the hospital. In September, Dr. José Baselga, the hospital's chief medical officer, quit under fire after the Times and ProPublica "revealed that he had failed to disclose his extensive industry ties in dozens of medical journal articles in recent years." The hospital, the latest article says, "has announced a task force to study its conflict-of-interest policies." In an email from Dr. Craig B. Thompson, the hospital's chief executive, and Dr. Lisa DeAngelis, acting physician-in-chief, low staff morale was acknowledged. 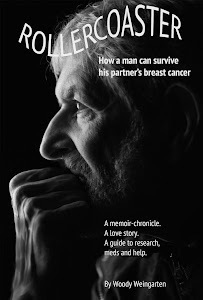 Other stories about fund-raising efforts can be found in "Rollercoaster: How a man can survive his partner's breast cancer," a VitalityPress book I, Woody Weingarten, aimed at male caregivers.